A year ago at Lakehead University in Thunder Bay, there were 156 Saudi Arabian students. Today, there are just four. A year ago, there were 156 Saudi Arabian students at Lakehead University in Thunder Bay. Today, there are just four. The departed students – and the $3-million in tuition fees they represent – were casualties of the political storm that erupted after Saudi Arabia reacted angrily to a Canadian government tweet critical of the human-rights situation in the Saudi Kingdom last August. Six months later, universities are assessing the toll of the Saudi withdrawal. International tuition revenue is increasingly important to university budgets and when the Saudi decision came down, schools had no time to make up the loss of roughly $20,000 to $30,000 a student in fees. Thousands of Saudi students left the country following the diplomatic fracas, but their numbers did not fall as far as first feared. Quietly, many have been permitted to continue their studies in Canada. Paul Davidson, president of Universities Canada, the national umbrella group that represents universities, said the federal government engaged in diplomacy with the Saudis and over a matter of weeks the scale of the student recall was gradually reduced. “The Canadian government moved quickly when they realized the cascading impact of the situation,” Mr. Davidson said. First, medical residents were allowed to stay, then graduate students in some fields and a few weeks later it was expanded to students nearing the completion of a degree, Mr. Davidson said. As the Saudi stance softened, it mitigated some of the anticipated cost to Canadian universities. 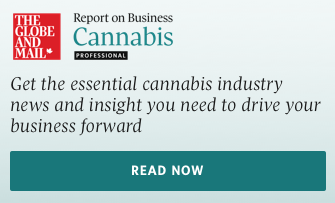 “The rationale [was] that these people had invested heavily, and frankly the Saudi government had invested heavily, and it would be a shame to disrupt their studies, disrupt their lives and have them start again somewhere else,” Mr. Davidson said. The impact of the withdrawal has differed from one university to another. At McGill, the decline is only about 10 per cent, to 277 Saudi students from 310 in 2018. The University of Manitoba, similarly, said the impact was minimal, largely because most of its Saudi students were in medical- or health-related fields. At the University of British Columbia, there were 86 Saudi students enrolled in November, down from 131 a year earlier, a decline of 34 per cent. At other large universities, such as Toronto, Queen’s, Alberta, Dalhousie and York, Saudi enrolments are down by roughly 45 to 55 per cent, although each school measures somewhat differently. Those are significant declines, but still less than the 90 to 100 per cent collapse contemplated in August. Some smaller schools have fared worse. 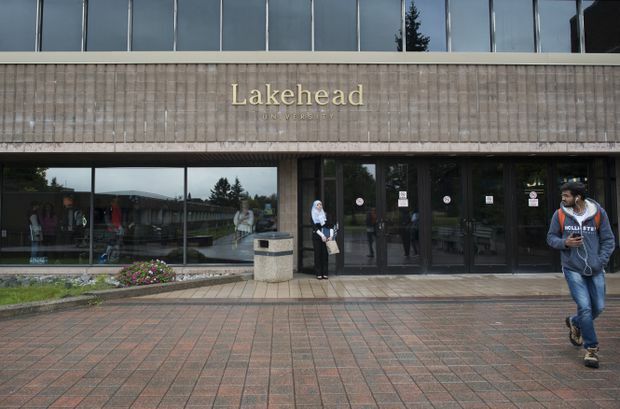 At Lakehead, for example, the loss of $3-million tuition represents more than 2 per cent of the previous year’s revenues. Fortunately, Lakehead had been working to diversify its international student body and had recruited a larger incoming international class this year, which made up the shortfall, according to James Aldridge, vice-provost responsible for international students at Lakehead. He said most of the Saudi students at his school were in the second and third year of undergraduate studies. He said he was shocked when he first heard the news and his first task was to assist the students, who had to pick up their lives and enroll at new schools in new countries. “Everybody was in a panic about where they would go next,” Mr. Aldridge said. At the University of Regina, they went to 33 Saudi students this month from 152 in August, 2018, a nearly 80 per cent drop. At Mount St. Vincent University, there were 127 students a year ago, compared to 41 today, a 68 per cent drop. And at Vancouver Island University in Nanaimo, B.C., the numbers were down 62 per cent. Norma MacSween, interim dean of international education at VIU, said the school had a lot of upset Saudi students last August. VIU contacted their partner universities in the United Kingdom and United States trying to convince them to accept the Saudi students on short notice. At all of these universities, the loss of the Saudi students represented millions in lost revenue. But in recent years, as the number of international students in Canada expanded rapidly, the number of Saudi students was in decline. They went from a high of more than 14,000 in 2011 to 7,640 in 2017, according to figures from Citizenship, Immigration and Refugees Canada. Mr. Davidson said he does not expect a resurgence in the Saudi numbers next year.